Birgu (also known as the Città Vittoriosa) is an old fortified city overlooking the Grand Harbour of Malta that was once the island's main port. The city was the capital before La Valletta was founded and is regarded by the Maltese as one of the nation's most important heritage sites. Between 2012 and 2013 a financial plan was drawn up and a sum of € 36,000,000 was allocated to restore the entire city. With the summer 2013 budget of € 2,000,000, the government announced a competition that included upgrading the lighting system for the entire city, starting with its main and secondary roads and finishing with its monuments and fortifications. The strategic goal for Birgu's new lighting system was to revive the city's buildings and road network via a spectacular, but non-invasive lighting system. The overall aim was to emphasize the unique character of the city's harbour fortifications and increase the accessibility of public spaces, especially after sunset by discouraging petty crime, increasing a sense of safety and generally transforming Birgu into a vibrant historic heritage site. So the new lighting system had to be clear, distinctive and designed in a way that would turn the city into a beacon in Malta's nocturnal landscape. The guidelines to achieve this goal were the following: - all lighting operations must be coordinated from both a technical and an aesthetic point of view; - functional and architectural lighting must be integrated to create a new lighting system that will replace the existing installations completely; - all costs must remain within the budget limits established. As in every plan, the first step was to analyse the situation, gain a cultural overview of the city and establish which areas had the greatest historic and artistic interest. The general indications for the lighting plan underlined the importance of atmosphere, and included specific instructions not to focus on homogeneous lighting effects that would be too flat; a colour temperature of 3000 K, and a colour rendering index of at least 80. The competition was won by the Raymond Vella company with a lighting concept that met all the given requirements and included details of the standard and custom-made luminaires to be installed in the different parts of the town. 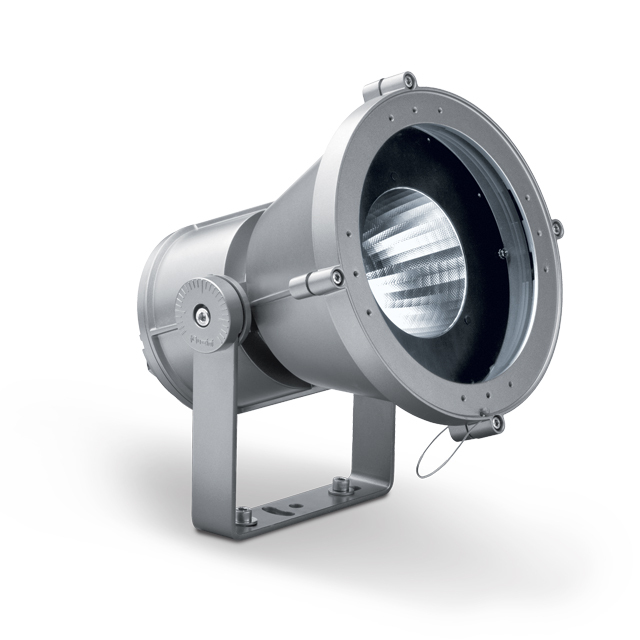 The luminaires were all produced by iGuzzini illuminazione. A very special product was used for the street lighting, which included pedestrian precincts and streets with both vehicular ad pedestrian traffic. 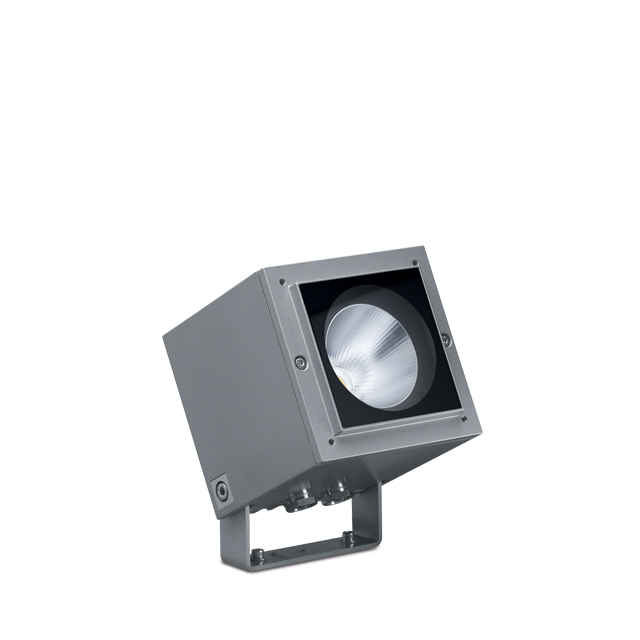 This featured an Optismart ST1C, 31, 2W street-type optic system used on Wow luminaires with microprism screens. 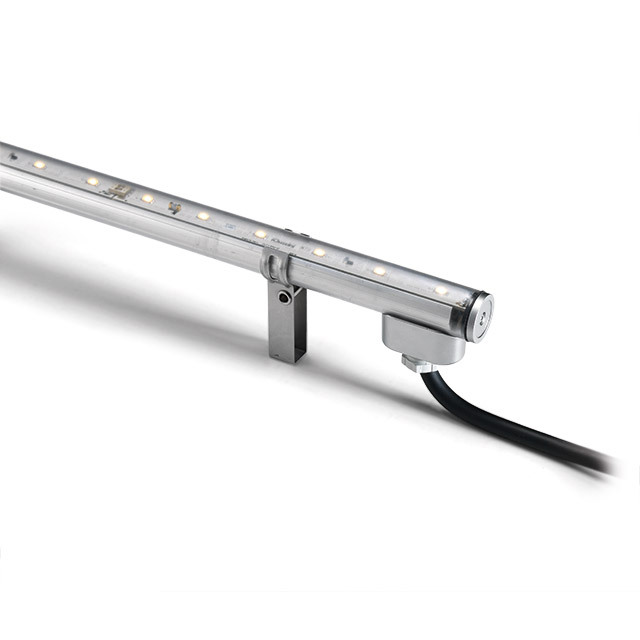 All the luminaires boast DALI technology, which means they can be operated by a control system that allows the different areas to be controlled remotely. This includes faults, on/off and dimming mechanisms for special events or special needs related to the Birgu culture and tourism sector. In the city's road network there were several points that required special attention, like the squares and other 'node' locations. The most important node is MisrhaIr-Rebha, the main square, that is overlooked by the Saint Lawrence Band Club building and includes two major attractions: the statue of Saint Lawrence and the Victory Monument. The first is lit by 4 iPro luminaires with flood optics located at the base and 4 Mini iPro luminaires with spot optics that illuminate the statue, whereas the Victory Monument is lit by 4 iPro luminaires with spot optics. Here, a colour temperature is 3000 K has also been adopted, but the difference between the composition and materials of the sculptures and buildings means there is a very different perception of colour temperature. This ensures that the sensation of variation and contrast, instead of flat homogeneity, stipulated in the general plan has been achieved. The Saint Lawrence Band Club building built in 1880, has been lit using Linealuce Mini luminaires to emphasize the horizontal elements, like the decorations on the balconies, especially those on the building. The vertical dimension, on the other hand, is underscored using iPro floodlights that highlight the decorative elements located on the external edges of the facades and the 4 elements that define the space on the top floor. Another important node in the town is the Cemeterium area, located behind the Church of Saint Lawrence. 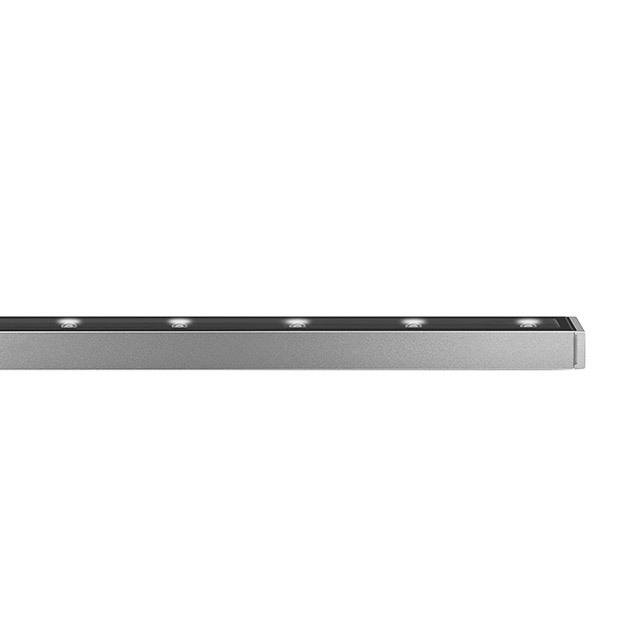 This is an area that features different levels that are reached by steps lit by recessed Walky luminaires. The architectural details on the facades that overlook this area have been highlighted using iPro and Glim Cube luminaires, which are very small and have a minimal visual impact, especially where gables and the details on the upper parts of buildings are concerned. 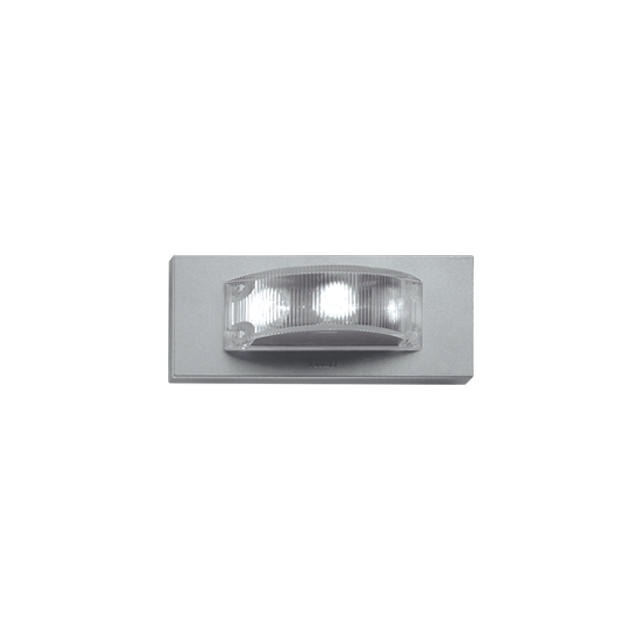 Linealuce devices, on the other hand, have been used to illuminate the entire length of the buildings' horizontal copings. On the ground, recessed Light Up and Ledplus luminaires have been installed according to the different heights to be lit. Ledplus luminaires have also been used to outline facade columns and entrance portals, whereas Light Up luminaires increase general lighting levels to guarantee safety and soften the dramatic effect of the lighting on the main Cemeterium facades. The lighting systems for the churches of St Dominic and St Lawrence have been designed with particular care and feature iPro luminaires that highlight the ribbing of the domes with immense precision. The niches and horizontal decorative elements are lit with Linealuce devices. The stern aspect of the two floored Inquisitor's Palace has been beautifully enhanced by accentuating the building's vertical lines from the base with Ledplus recessed luminaires. 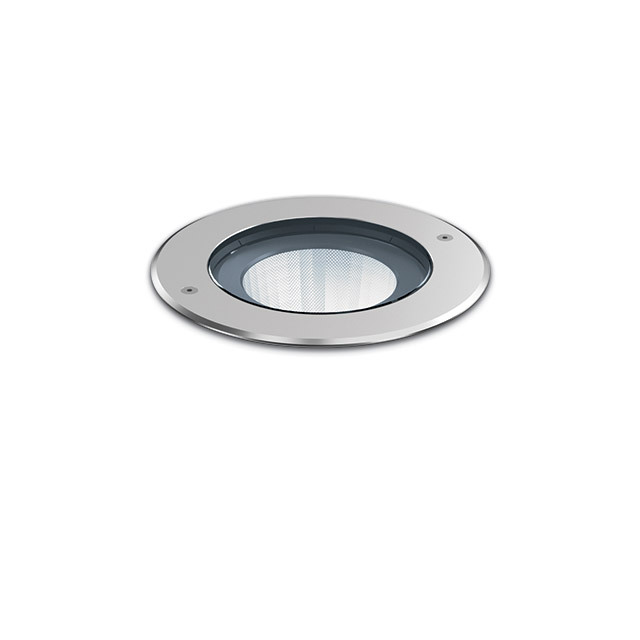 Linealuce Mini luminaires have also been installed on the marker line between the first and second floor, to continue the luminous cone produced by the ground-recessed devices. Birgu's fortifications are what really characterizes the town's urban landscape, though, and naturally a very special system was designed to light them. The St John Fortifications that look inwards over Malta include a regenerated moat that is now a park. The strength of these ramparts is highlighted by homogeneous wall lighting obtained using Maxiwoody floodlights with a street optic to increase the distance between the ground-based luminaires. The only way to access the city in this area is to cross the moat on one of two bridges, one for pedestrians and one for vehicles. Linealuce RGB luminaires have been installed on both of them. This is the only town landmark that features coloured light. In this case, red - the colour of the flag of the Knights of the Order of St John (the Knights of Malta). Along this stretch of wall there are three gates that lead into the city. The main entrance is the Couvre Port built in 1722. Here the elaborate decoration of the gate is floodlit by Maxiwoody luminaires, whereas recessed Light Up luminaires have been used to light the walkway that runs through the tunnel in the walls to Couvre Port square. The square is lit using large iPro floodlights that create a homogeneous light on the ground, while iPro mini luminaires with a 90° optic have been installed on the roof of the gate to light the top of the building and ensure it can be seen clearly from the surrounding towns that are located in higher positions. Birgu is built on a small peninsula with a tourist harbour on one side and a stretch of coast, known as Mandrag, on the other that is very popular for seaside strolls and barbecues. Here, a stylish and coordinated lighting system using MultiPro poletop luminaires has been installed right along the walls. This features no less than 144 large MultiPro luminaires fitted with a flood optic and installed on 23 poles, plus another 138 Ledtube luminaires for the cannon embrasures. Another landmark that stands out when Birgu is viewed from the surrounding towns is the compact and weighty complex of the Benedictine Monastery. This has been lit on the side overlooking the sea with a series of Linealuce mini luminaires installed on the marker line between the floors. As of October 2016, the existing lighting system is still being used at the end of the peninsula.